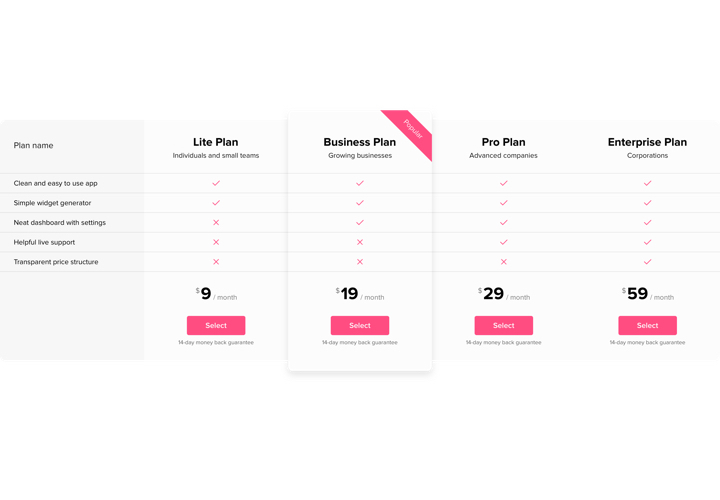 Pricing has one of the leading positions in convincing users to order. 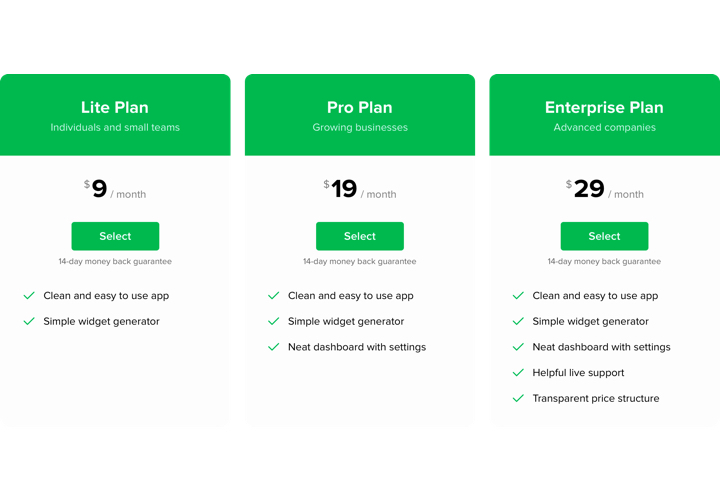 Plugin by Elfsight not only enables users of the site to examine and compare your price plans quickly. It also helps boost conversion by means of using the freshest tendencies in interface and modelling. 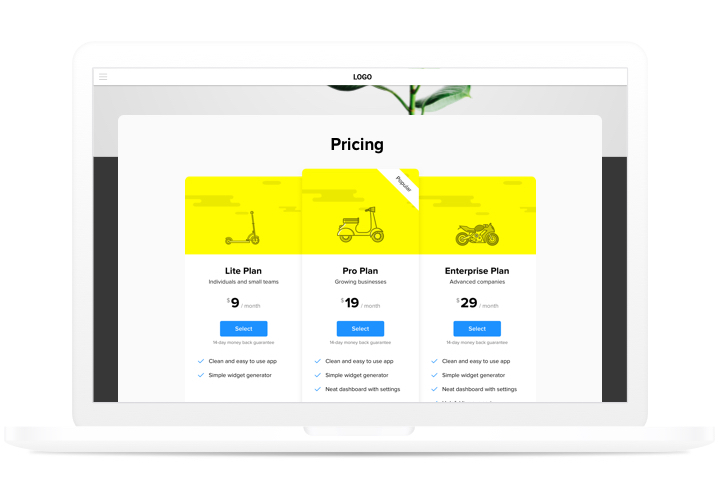 Get sales of your site to a new height, using an advanced pricing. Get the best of the most efficient trends of the design, to fight all fears and disbelieves that prevent people from buying and get the best conversion. Stimulate visitors to make a purchase. Display the data your future visitors need most simply and efficiently and show them what option is the right choice. 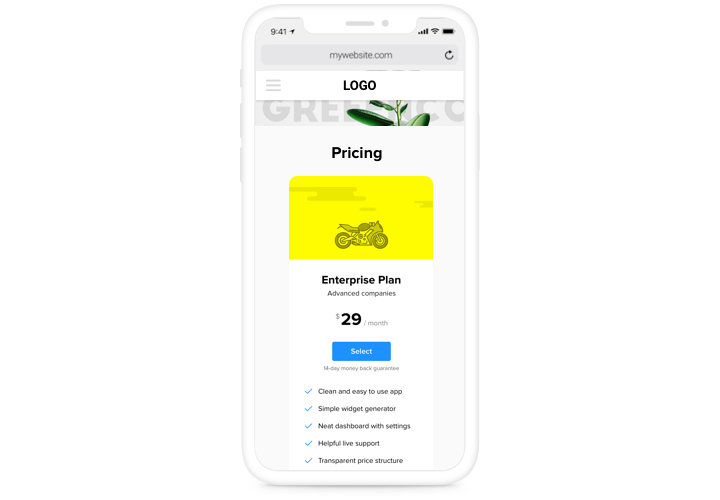 With a vast number of settings enabling to create various kinds of pricings just in a couple clicks, you will have the one that will be most effective for you. The features that ensure our plugin to be the best Pricing Table for jQuery websites. Place any text you need before the form in the caption. A tutorial on embedding Elfsight plugin on a website. To carry out this process, you don’t need knowledge in web development or much time. Just 3 quick actions and 3 minutes. 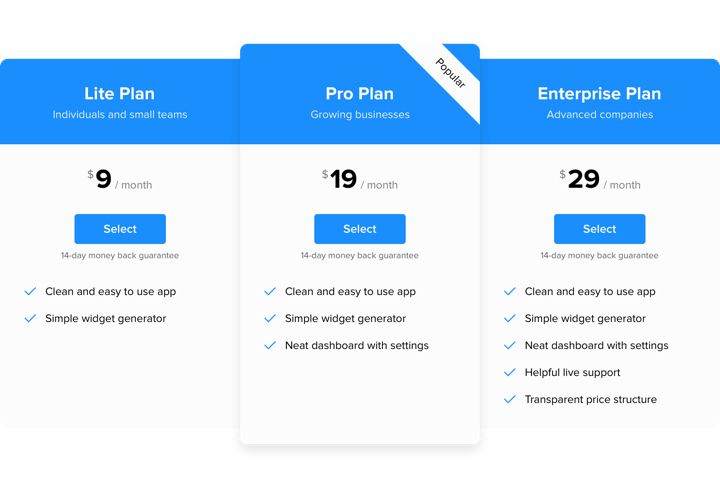 Create your custom-made Pricing Table. With the help of our free demo, create a plugin with needed layout and functions. Copy a code for plugin integration. After widget configuring, receive a code for Contact Form plugin from the appeared window on Elfsight Apps. Display the plugin on jQuery website . Place the plugin on the needed spot of the website and save the edits. Experiencing troubles with plugin setup? Get in touch with our help center and receive a professional help in any issues. 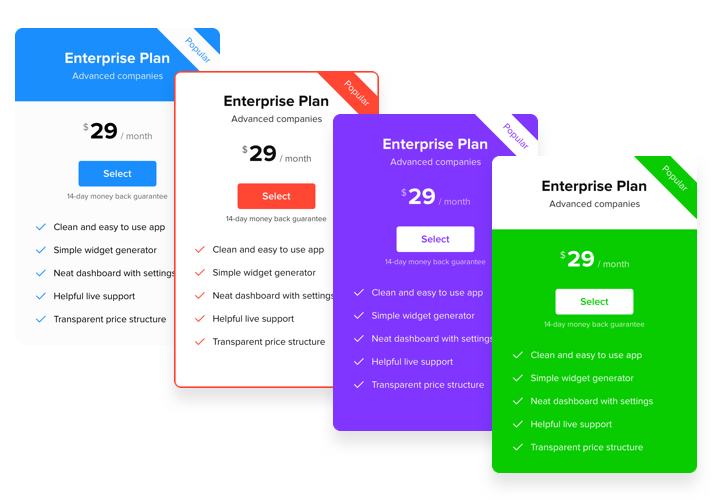 Set the best jQuery Pricing Table plugin in only 60 seconds!